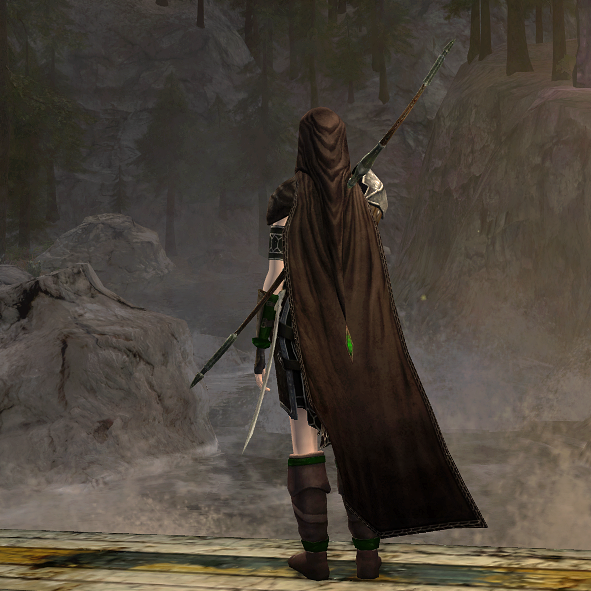 The hunter spent some time in Mirkwood, where a sea-inspired set of garb would not do. 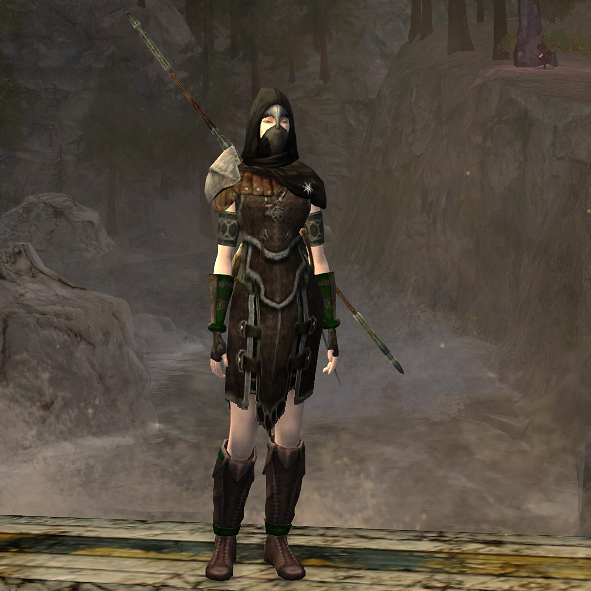 She now wears this in the dusky woods of Far Anorien. 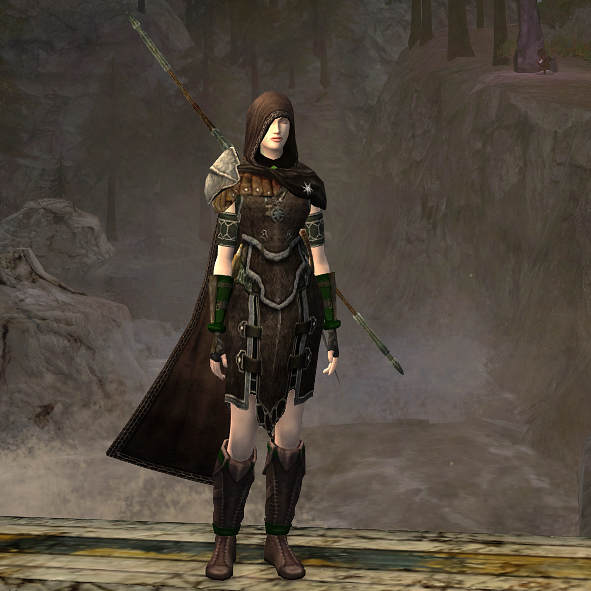 This entry was posted on 2016.08.13 by vyh in Outfits and tagged arestelle, brown, cosmetics, green, hunter, lord of the rings online, lotro, mirkwood, outfits.